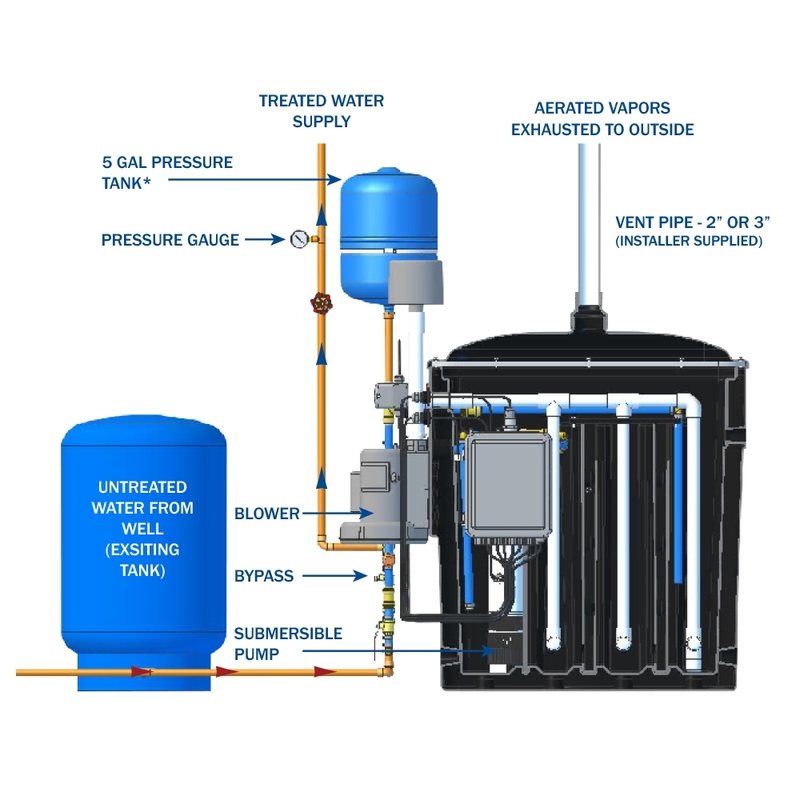 AIRaider 433-S Series diffused bubble aeration systems have a built-in submersible pump for easier installation, a smaller footprint and quieter operation. Other features include self-priming pump set up, fail-safe floats and valves and more. Removes up to 99+% of radon. Versatile electrical connections: The electrical panel can be mounted on either side to allow left or right connections. Internal tank design: With removable baffles, the new design improves upon the 433-S series already easy cleaning and maintenance. Lid sealing method: The familiar 433-S lid clips are replaced by molded in brass t-nuts and stainless steel machine screws to provide an even better, mechanically positive seal. No separate pump and pipes to install. It can even be installed in a closet! The built-in pump reduces audible level of pump noise. Please Note: System shown with additional pipe & fixtures. May require additional parts for installation. Unit might slightly vary in size, shape or styles. AiRaider products must be installed by a professional / licensed professional or all warranties will be void.